How to use subaccounts efficiently? Building multi-layer flespi applications with the help of hierarchical subaccounts structure. 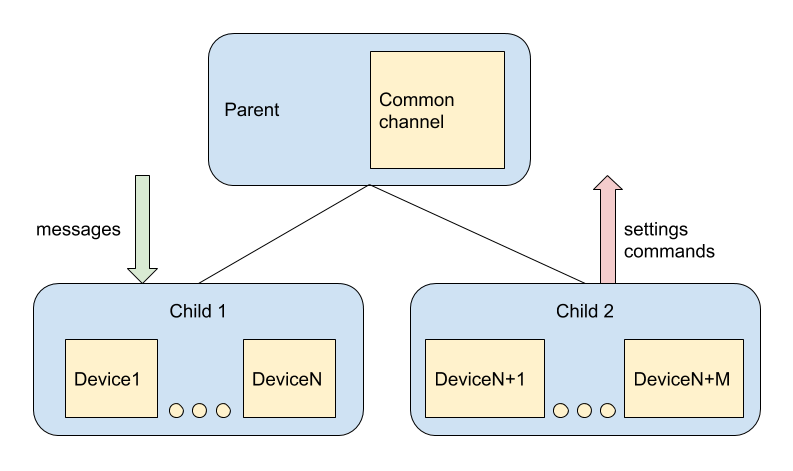 Devices USE channel to receive messages and send commands over channel’s connections. Application: parent account can group devices. In this case, devices can’t have the same ident (e.g. it is not possible that two companies connect a device with the same IMEI to one IP:port). 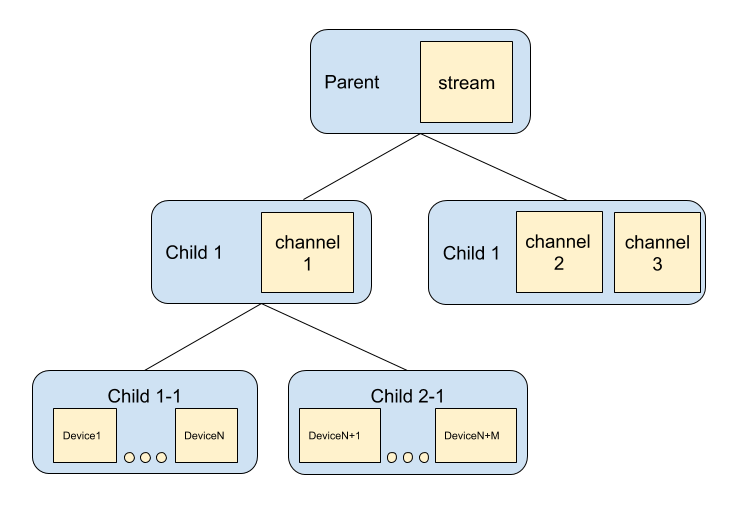 Stream can subscribe for messages from child’s channels and devices. Application: only parent account can manage stream subscriptions and turn on or off subscription for specified channels or devices. 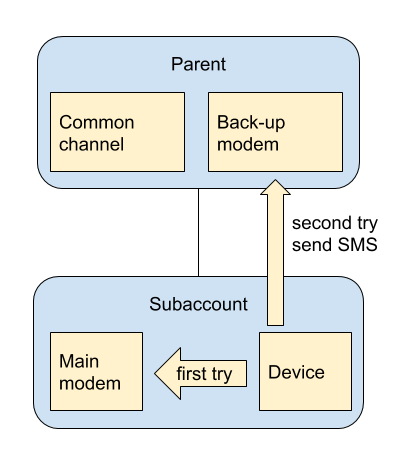 Application: Parent account allows subaccount to use its own SMS service account but guarantees delivery of the SMS by backing up the modem if subaccount’s modem is not working properly. Note: Channels use modems to send channel commands via SMS, so all of the above applies to channels as well.